In this day and age, the headphone jack is becoming an outdated technology in smartphones. Although there are exceptions like Samsung, who still offer a headphone jack in the Galaxy S9, for example, it is safe to say that the headphone jack is an endangered species. Thanks to the lack of a jack, manufacturers resort to dongles of all kinds to compensate, but it’s not quite the same thing. 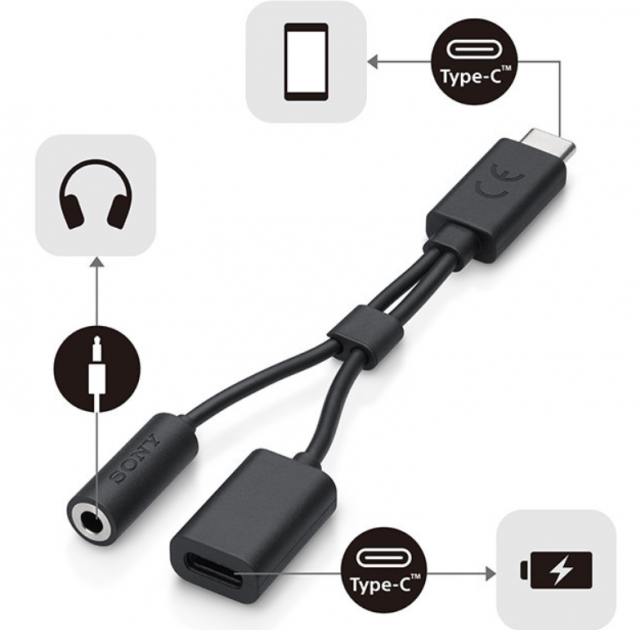 Sony’s new Xperia XZ2, which also lacks the 3.5mm headphone jack, also comes with an Type-C adapter in the box to plug in wired headphones. But what if you want to listen to music and charge your device at the same time? Well, in that case, the company is more than happy to sell you another dongle for this – that’s Sony, not Apple we are talking about here, just in case you are confused. Sony’s new EC270 adapter has gone on sale in Europe for €19.90, or roughly Rs 1,600. According to the company, the adapter will work with the line-in audio and controls on your headsets. That being said, it is worth making a note that the charging speed is limited to 5V/0.5A, which is quite underpowered for 2018 phones. Not only is that significantly less than usual USB Power Delivery speeds, but it might not even charge your phone if you’re actively using the device for gaming or other intensive activities at the same time. That itself gives us pause before recommending it. And the dongle might not work on non-Xperia phones, at least as per the listing on the official website, which only lists Sony’s phones as compatible. But that could be about the full functionality such as in-line remotes etc. Overall, Sony’s new adapter looks like a half-baked solution for a problem which didn’t need to be created in the first place.